At Hansgrohe, design and maximum functionality go hand in hand. In conjunction with internationally successful designers, we develop products which make the bathroom a more attractive and more comfortable place on a daily basis – and which will continue to bring pleasure well into the future. Creativity therefore has a prominent place at Hansgrohe. With more than 400 awards from independent judging panels in international design competitions, we are ranked number one in the bathroom sector when it comes to design. Every year our in-house products scoop top awards in international design competitions. Independent judging panels thereby confirm the quality and high value that our customers so appreciate, signified by the combination of functionality and aesthetics. 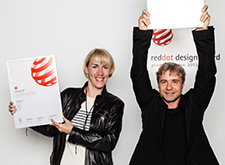 The hundreds of design awards received by the Hansgrohe Group make it a design leader in the sanitation industry. Demonstrate forward thinking for bathrooms, create space, break away from established patterns: AXOR maintains an open, interdisciplinary dialogue to enable you to achieve this. 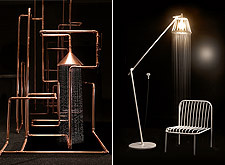 Five renowned designers have taken part in the “AXOR WaterDream” thus far. Understand design better, and convey style trends competently: the compact reference work explains the most important terms and concepts to do with design and explains current keywords in architecture.